I never get tired of seeing the highlight of Justin Thomas waiting for his ball to drop in. It hangs on the lip. An-ti-cip-aaaa-tion... It DROPS! What I focus on is the black alignment line on his ball. It's a little smudged because he probably hand applied it with a Sharpie. 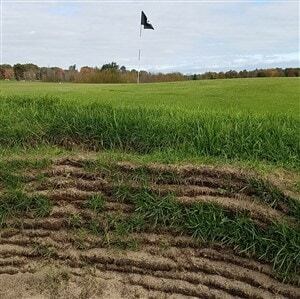 Would LOVE for the great people at Titleist to have an option with PRE-PRINTED alignment lines put on in the glorious Titleist Golf Ball Plants. It's so much cleaner. Also, with our choice of color for that line when we pre-order them on the 3 for 4 or on MY TITLEIST. For those who don't want it, they can flip it so there is nothing there to distract them. Love it, Vurich great idea when is it available to the public. You're a genius! Omg that's actually a quality idea. I usually put a line on my ball and end up with marker on my clubs and smudges on my ball like you mentioned. BTW, Bridgestone is already doing this on some of there balls. Its definitely easier to line up and put, and especially if it goes 180 degrees around the ball. This also tells you if you are putting a true roll on the ball vs. most irregular smudge sharpies. There is little or no way to get a clean alignment line on the ball because of the dimples. 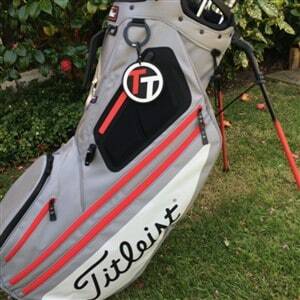 Titleist. Wake up an do this already, or offer it. I might actually buy NEW prov1's if you did, considering I already have 40 dozen in my closet. cally are doing a triple line on one of there balls. That would be a great option! 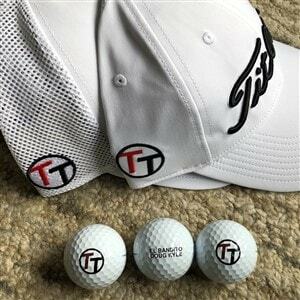 I just did a survey for My Titleist this morning from my recent Pro V1 purchase and they asked if alignment aids (along with other cool customization) was something I was interested in seeing on future golf balls. I, of course, said yes please. Perhaps this might be in the works and we'll see it soon. And think of the saving in Sharpies!!! No, wait, I've got a box full of Sharpies! !